Join us for a day filled with fun, FREE events in celebration of our 1st year in business! 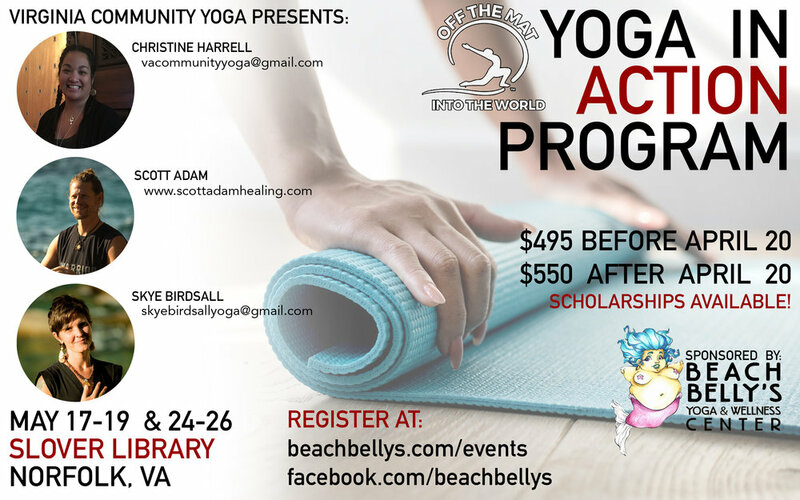 Join us at the amazing Beach Belly's Yoga and Wellness Center in Norfolk for a different type of sound meditation. You will be guided through a deep shamanic sound journey to receive direction, release blockages to your true path, embrace your shadows and transform difficulties into advantages. Yin yoga meets hot stone massage for an experience of ultimate relaxation. In this practice, all postures are either seated or laying down with the option of extra support from props. While holding postures, we'll incorporate massage with heated stones to help release muscular tension. The meditative benefits of yin blend beautifully with the therapeutic benefits of hot stone massage to find stillness and melt your stress away. No admission after 3:10. Please arrive early so all may enjoy a peaceful practice. The intention of this workshop is to provide a safe space for queer self-inquiry and contemplation of the complete yoga practice, exploring the eight limbs through a queer lens. It is meant to be an LGBTQ+ only space, and all who self-identify as such are welcome. The ultimate aim is to leave participants with a solid foothold into yoga philosophy and practice that resonates and jives with their queer identity. $30 Per Person. Space is Limited.